North Korea says US bomber flights signal pre-emptive nuclear strike – Coercion Code – "Dark Times are upon us"
North Korea is accusing the United States of pushing the Korean peninsula to the brink of nuclear war after a pair of strategic US bombers flew over the area in a training drill with the South Korean air force. 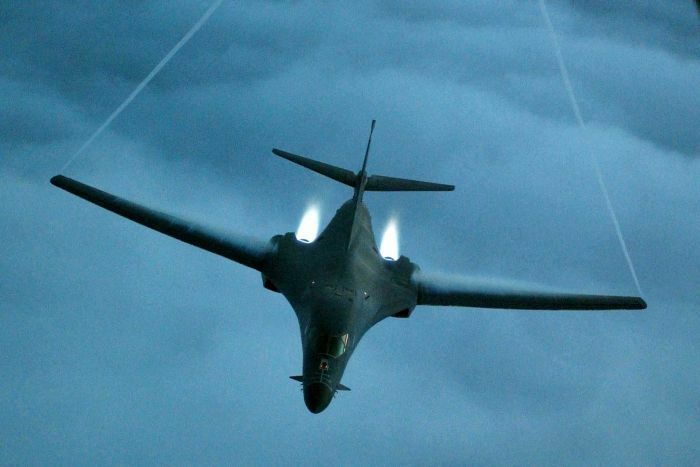 The two supersonic B-1B Lancer bombers were deployed amid rising tensions over North Korea’s dogged pursuit of its nuclear and missile programs in defiance of United Nations sanctions and pressure from the United States. The flight of the two bombers on Monday came as US President Donald Trump said he was open to meeting North Korean leader Kim Jong-un in the appropriate circumstances, even though Pyongyang suggested it would continue with its nuclear tests. 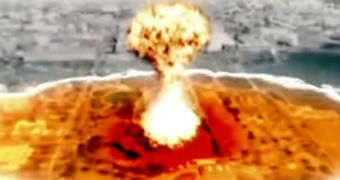 North Korea could have a 10-kiloton weapon capable of striking the US west coast and killing 100,000 people within four years, according to a former CIA officer. South Korean Defence Ministry spokesman Moon Sang-gyun told a briefing in Seoul that Monday’s joint drill was conducted to deter provocations by the North and to test readiness against another potential nuclear test. North Korea said the bombers conducted “a nuclear bomb-dropping drill against major objects” in its territory at a time when Mr Trump and “other US warmongers are crying out for making a pre-emptive nuclear strike” on the North.